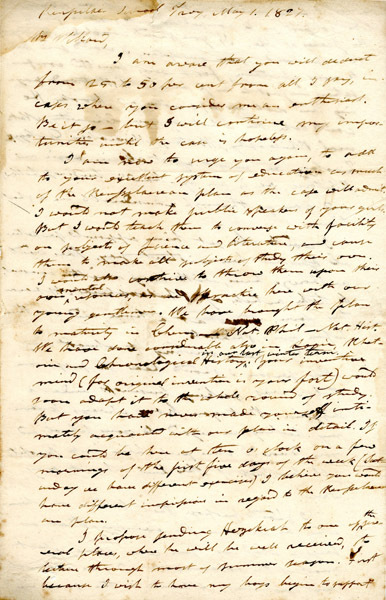 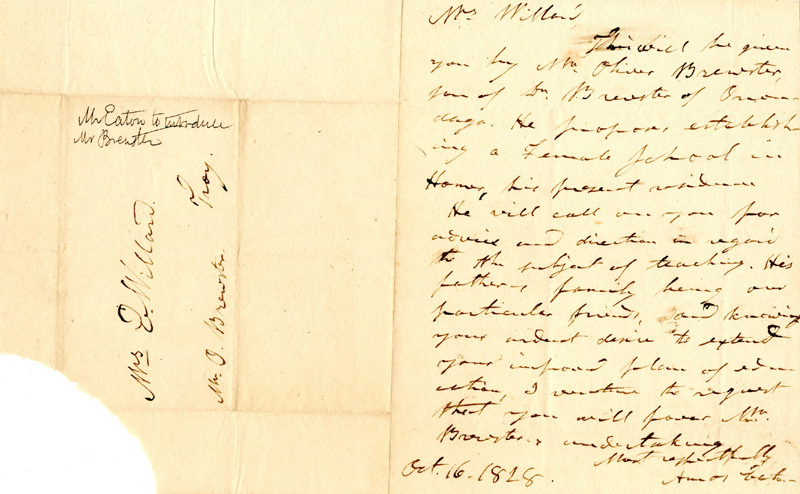 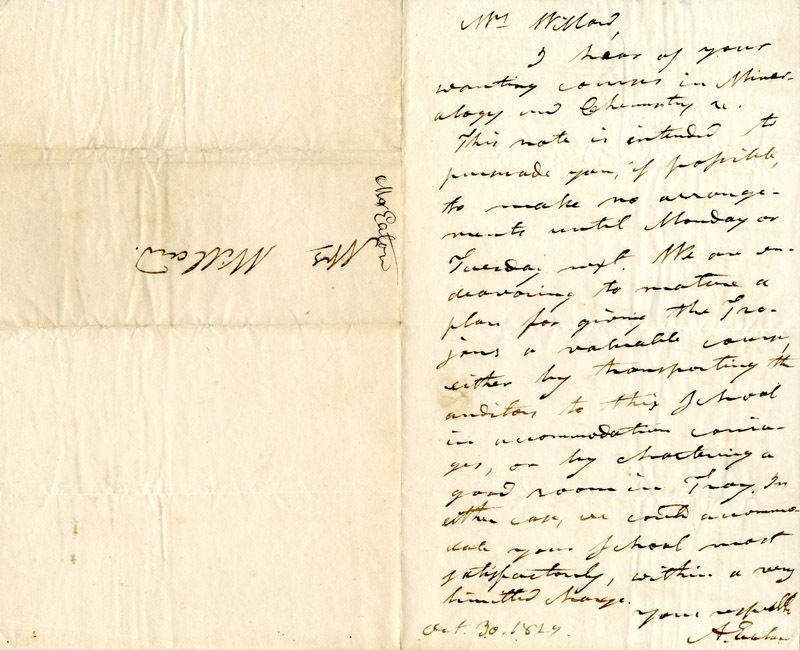 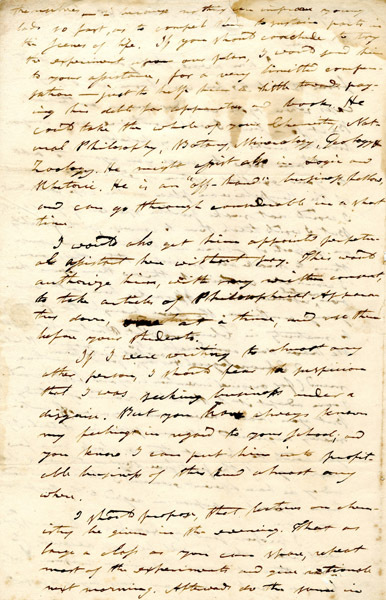 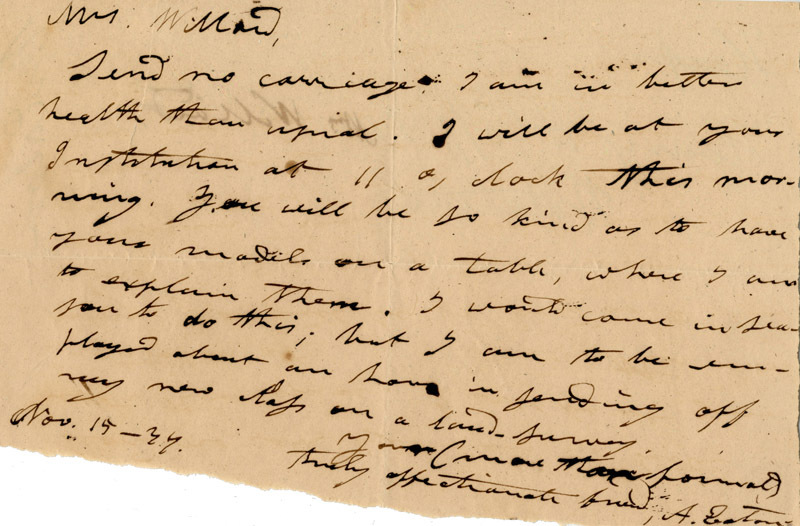 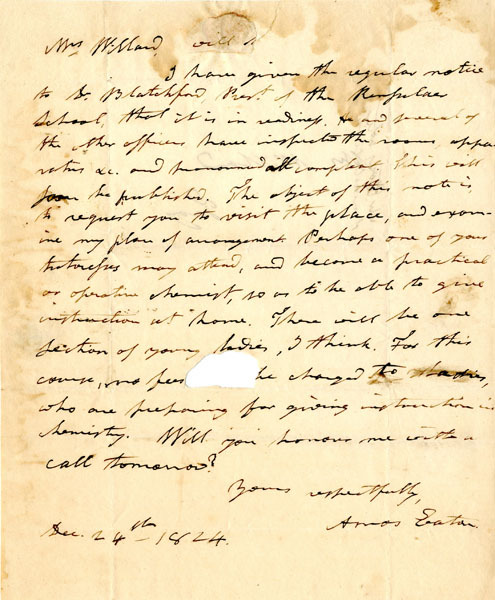 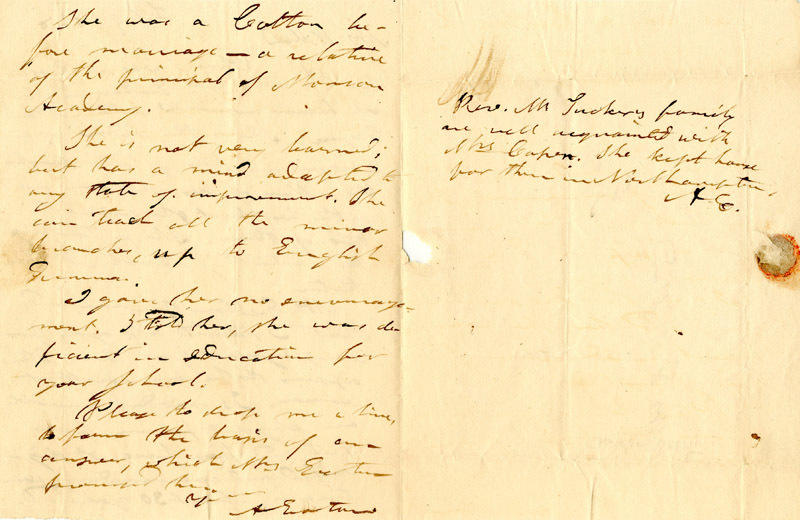 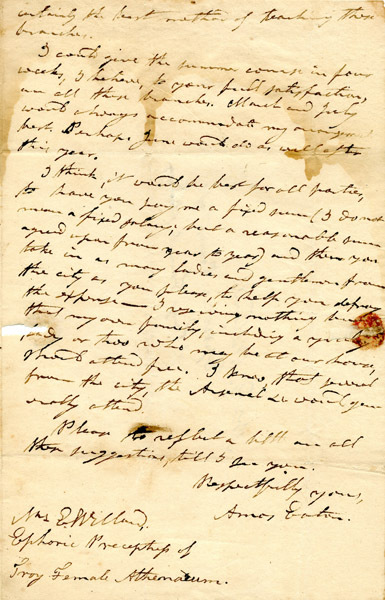 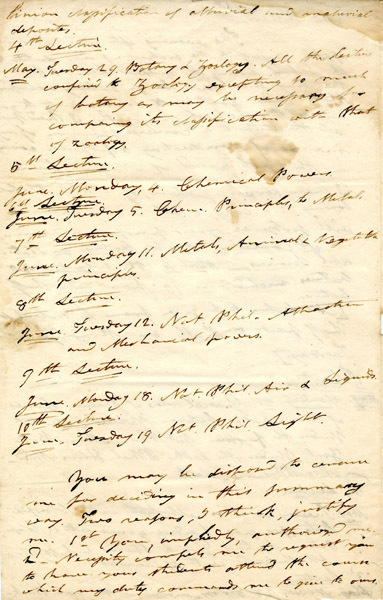 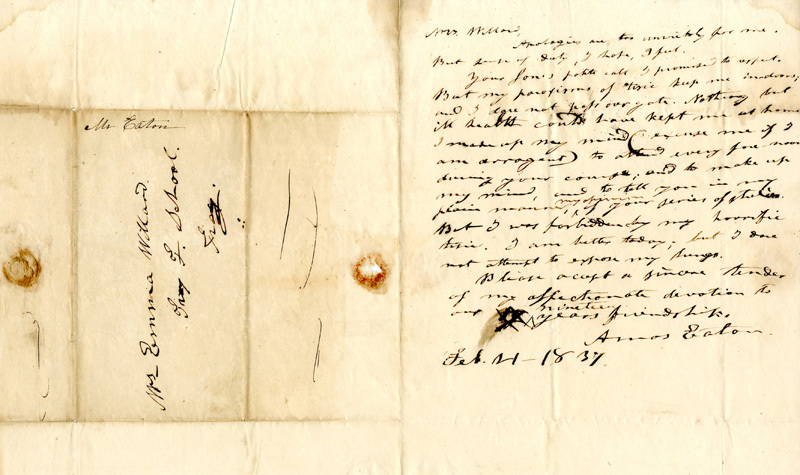 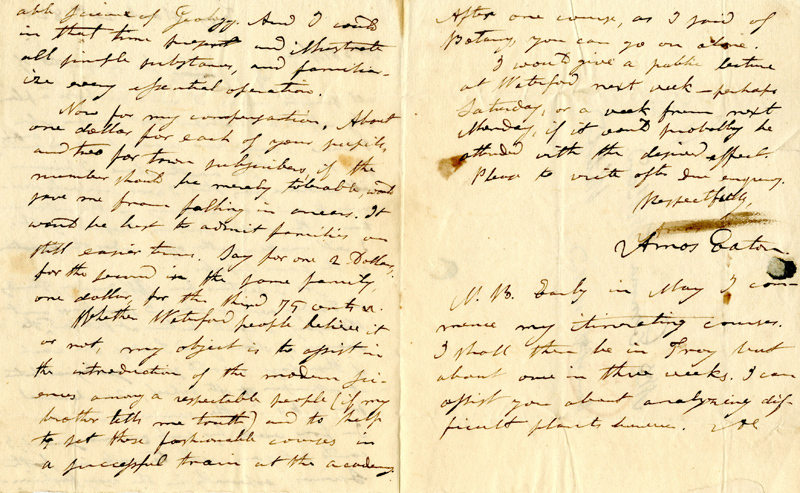 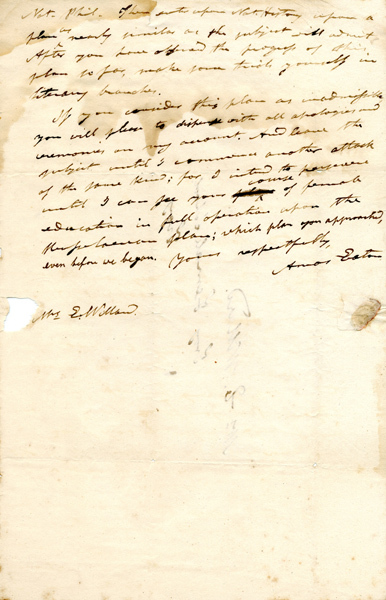 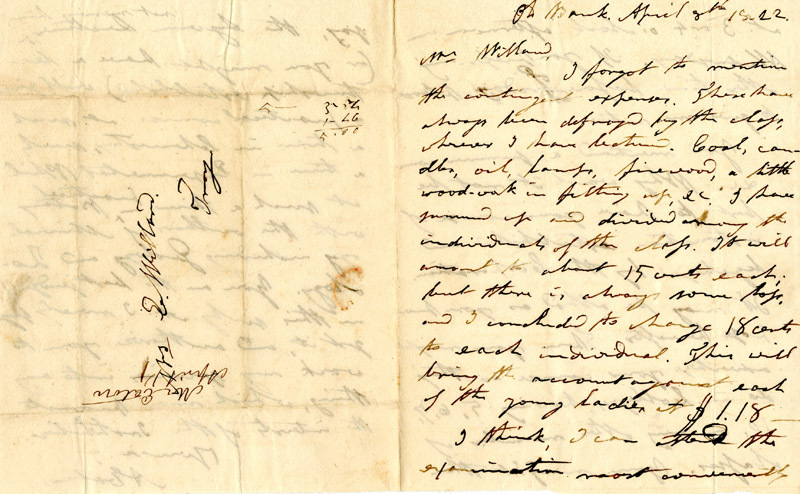 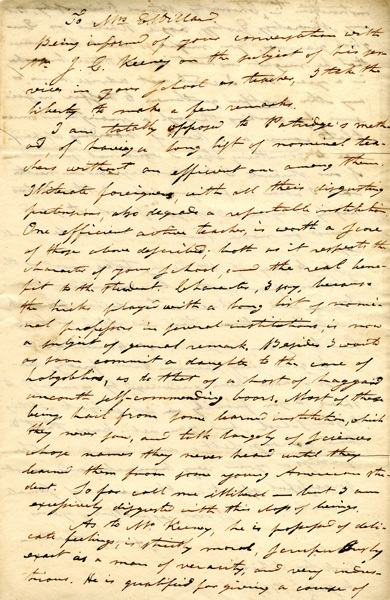 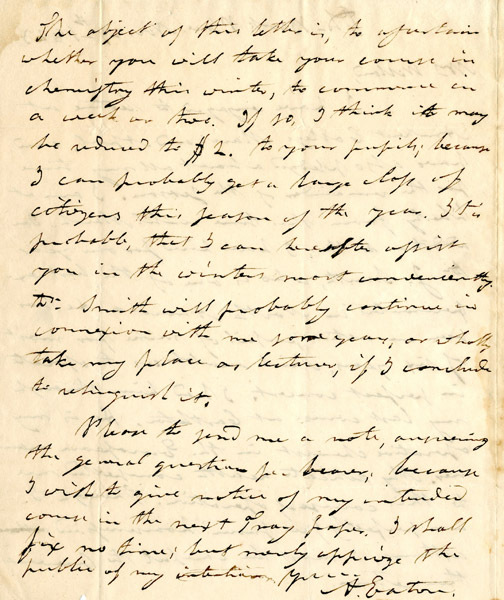 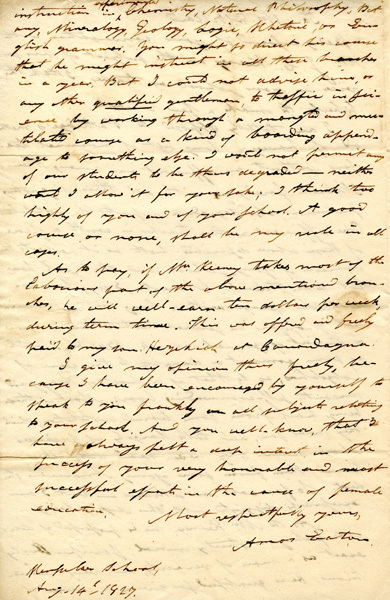 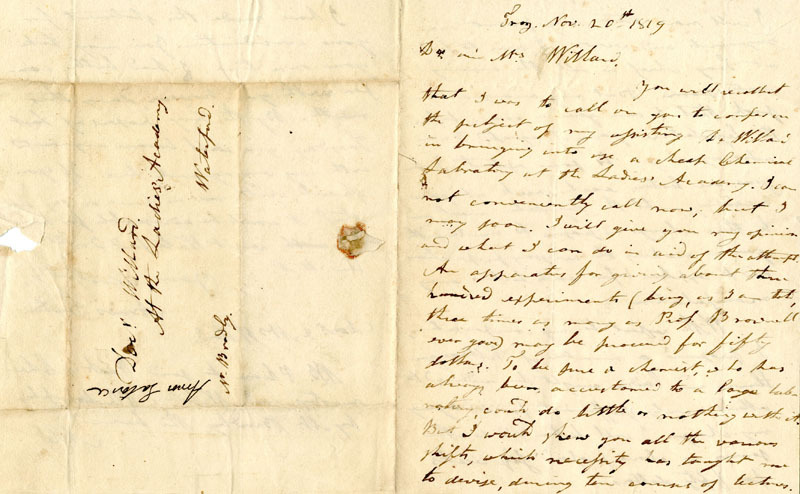 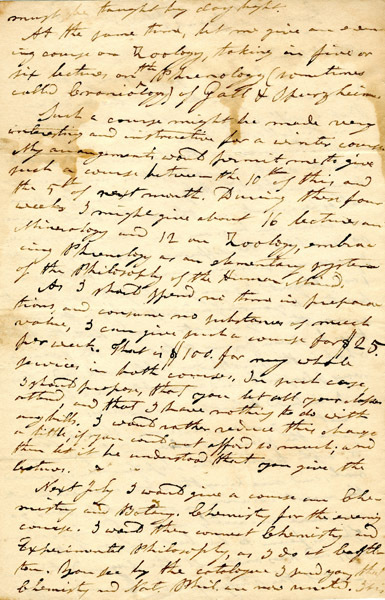 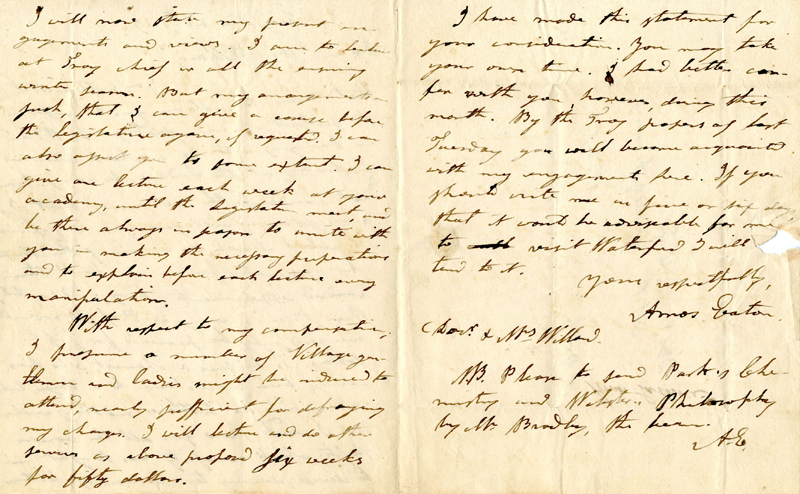 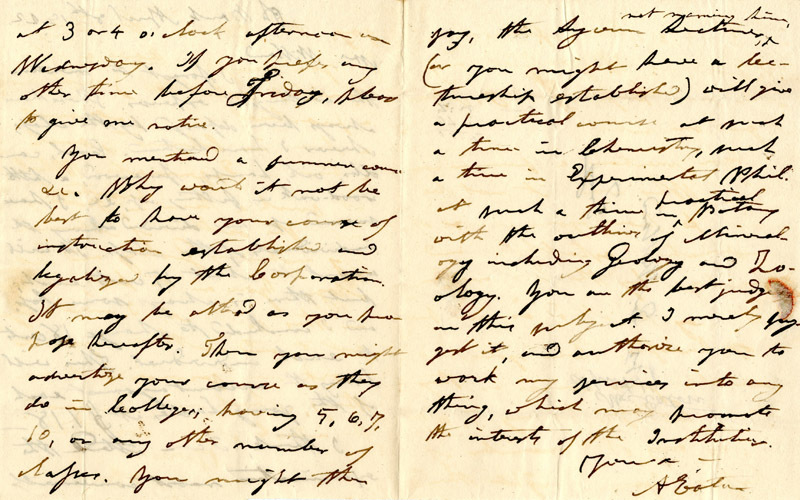 Written from 1819 to 1837 by the Rensselaer School co-founder Amos Eaton to Emma Willard, these 14 letters document Eaton's interest in making scientific instruction available to both women and the general public. 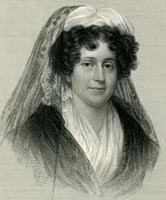 Many of them deal specifically with Eaton's efforts to influence the science curriculum and teaching at Mrs. Willard's school. 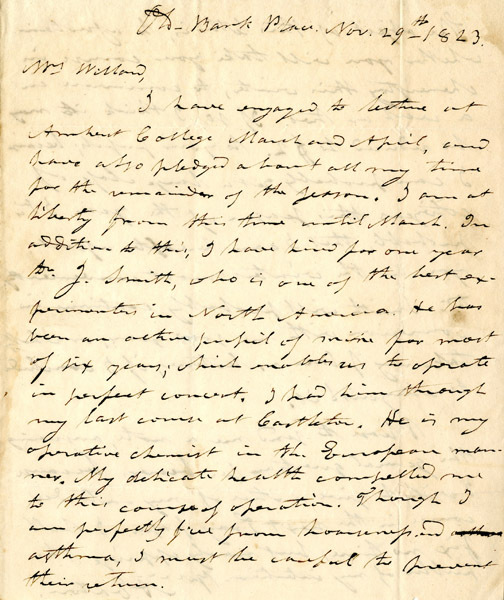 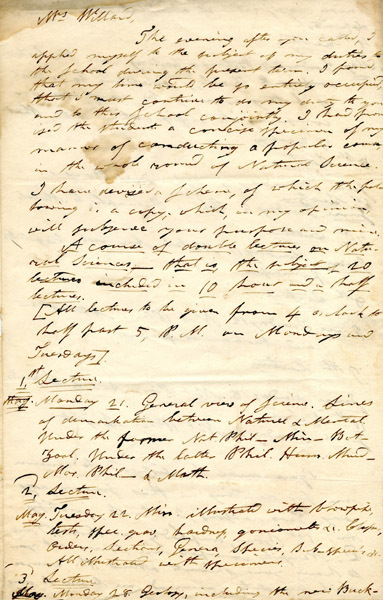 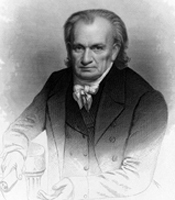 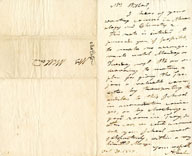 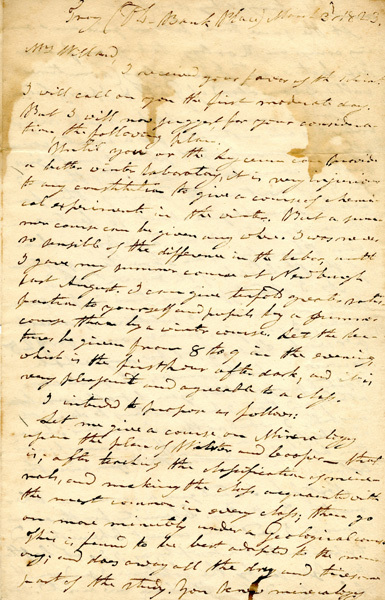 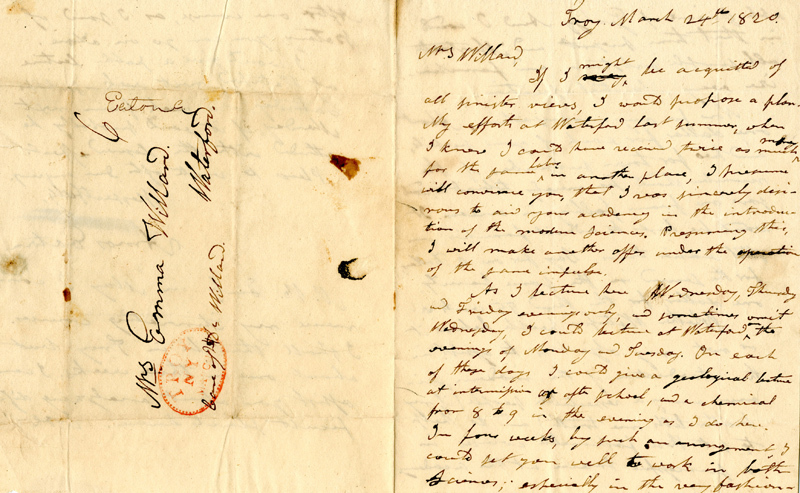 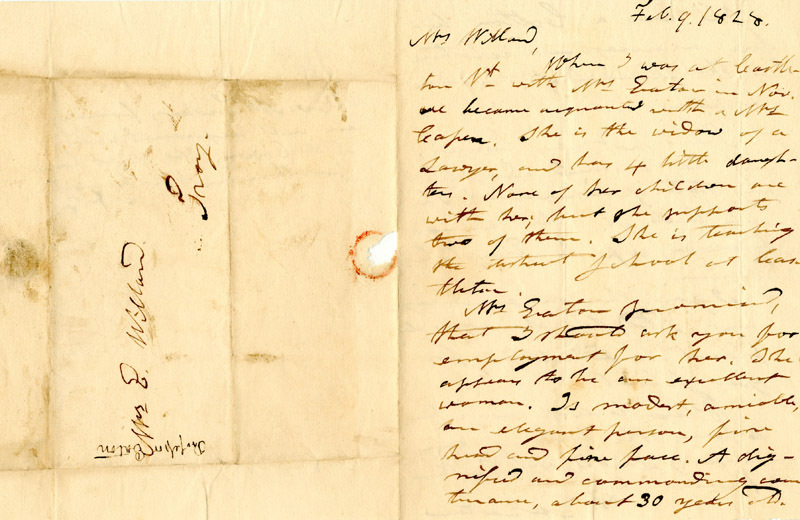 The Emma Willard School will celebrate its bicentennial in May 2014.The letters were returned to the Eaton family following Amos Eaton's death in 1842. 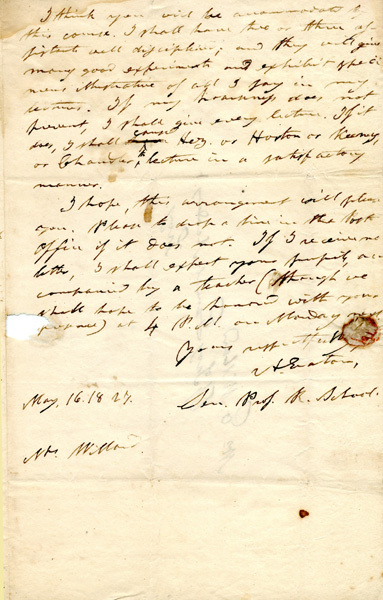 They were donated to Rensselaer by the Eaton family in 1995.